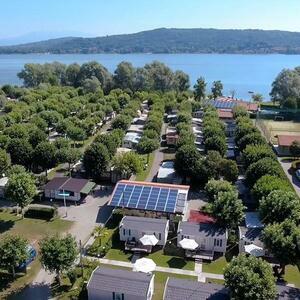 Camping Village LAGO MAGGIORE will welcome you in Dormelletto, on the south-western coast of Lake Maggiore, 3 km. from the pretty town of Arona and into the charm of the lake, with its numerous possibilities of amusement, sport and culture. Immersed in a rich and well-kept vegetation, in a peaceful position, with direct access to a wide and equipped beach, with the lake where bathing is permitted, with the 2 swimming pools and with the high quality of services, our Village ensures an ideal stay for the family looking for a quiet holiday rich of amusement thanks to our animation staff. 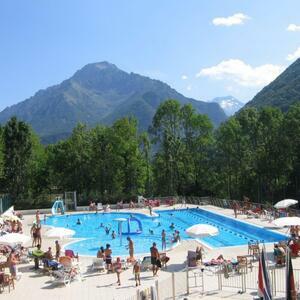 You will find 290 pitches, shady and bordered by hedges, provided with light plugs: 200 pitches are haunted by Italian guests, 90 pitches are reserved to foreign tourists for their holidays in Italy. 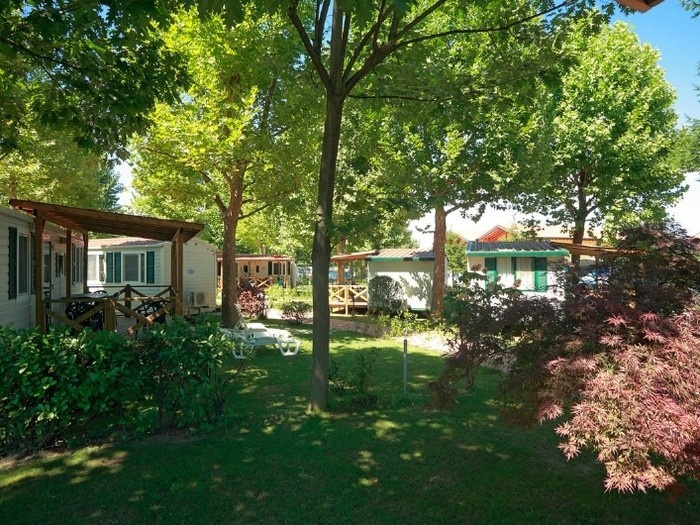 Comfortable maxi caravans and brick-houses, all with wide gardens and private parkings. In our new Residence Alice just inside the Village you will find 42 wide 1 room, 2 rooms and 3 rooms apartments, up-to-date furnished and well equipped for living in the open air. Thanks to all these things the Village offers you an Italian welcome atmosphere joined to an organization ready to satisfy the wishes of our foreign guests.